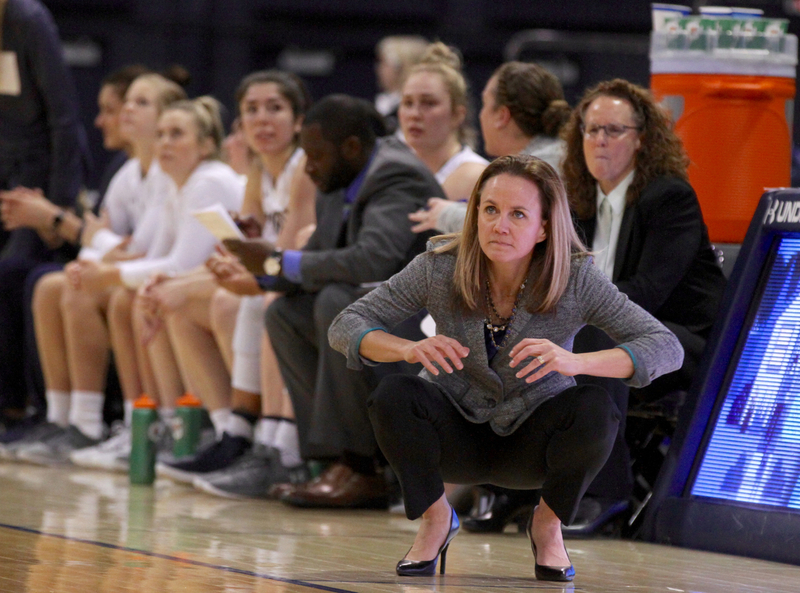 OGDEN, Utah – The Montana State women’s basketball team overcame a double-digit halftime deficit to notch a 66-59 win over Weber State on Thursday night in the Dee Events Center. 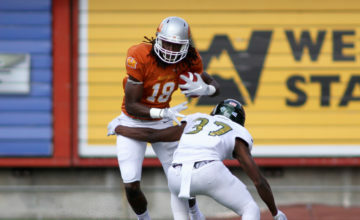 Montana State (10-8, 5-3) trailed early as Weber State (4-14, 1-7) jumped out to an 8-0 advantage. The Bobcats closed to within two-points after the opening frame, but the Wildcats pushed its margin to 33-23 at intermission as Jaiamoni Welch-Coleman connected on a jumper with six-seconds remaining. Weber State out-rebounded MSU 28-15 in the opening half and out-scored the Bobcats 22-6 in the paint. 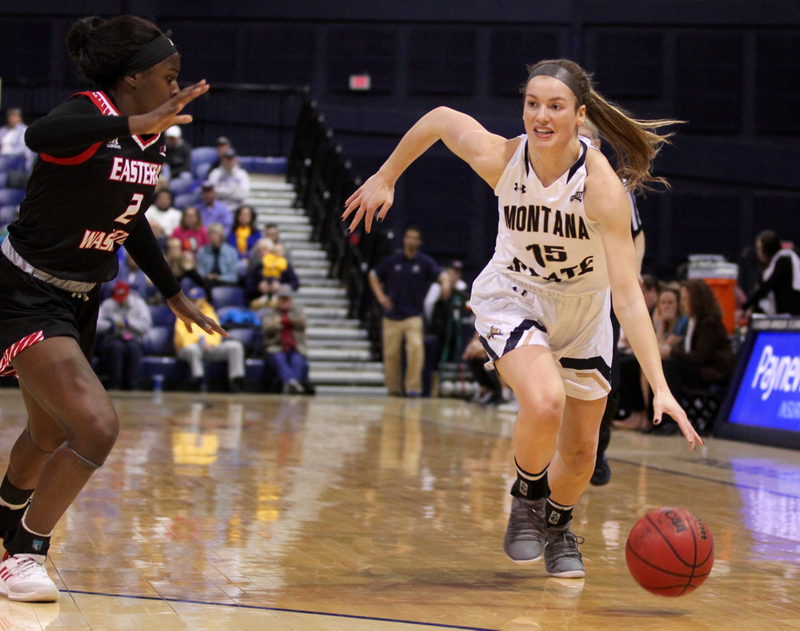 Montana State opened the third quarter on a 16-4 run capped by Martha Kuderer’s three-pointer at the 4:26 mark to give the Bobcats its first lead at 39-37. Tori Martell’s triple with 2:49 left gave MSU a five-point advantage, before WSU answered with five unanswered points. The Bobcats held a 47-46 lead heading into the final period. The fourth quarter featured two ties and a lead change before a pair of free throws by Gabby Mocchi with 4:11 remaining ignited a 6-0 run. The run was highlighted by a Blaire Braxton layup with 2:02 left to give MSU a 60-54 advantage. Weber State’s Dominique Williams nailed a three-pointer to cut the margin to 60-57 with a little over a minute remaining but Claire Lundberg responded with a triple of her own to give MSU some breathing room. Oliana Squires put the game to bed connecting on three-of-four charity tosses in the final 18-seconds to secure the win. Lundberg paced all scorers with a game-high 23 points, while Braxton and Martell added 13 and ten, respectively. MSU out-scored the Wildcats 43-26 in the second half, shooting 42 percent from the field, including a six-of-12 effort from long distance. The Bobcats also turned the tables under the glass out-rebounding WSU 20-16. 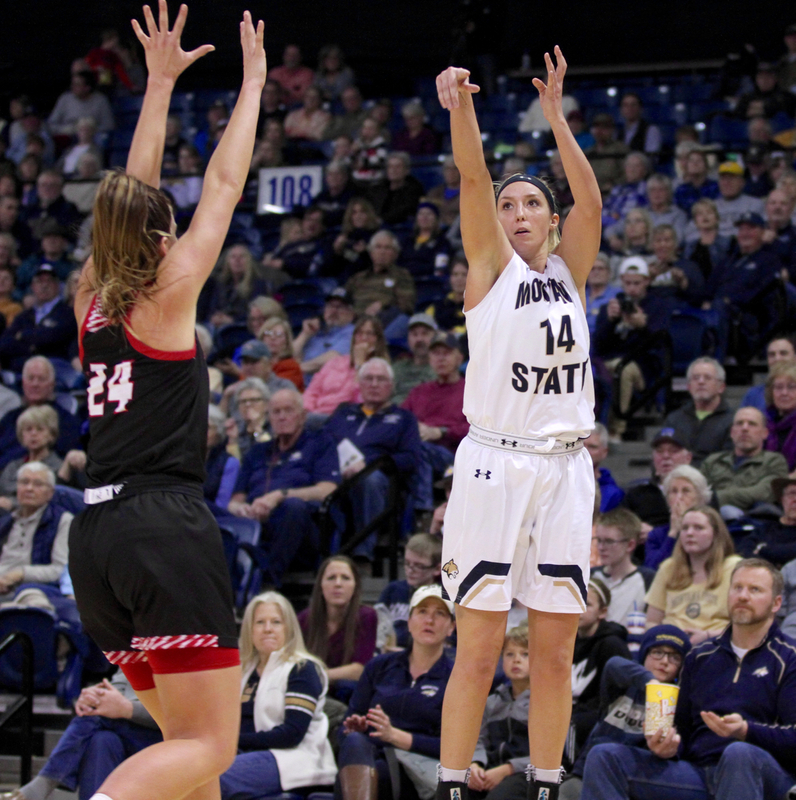 Braxton and Kuderer guided Montana State under the boards with seven rebounds, apiece, while Martell hauled down five. Welch-Coleman paced Weber State with 16 points, five assists and four rebounds. The Bobcats play at Idaho State on Saturday afternoon beginning at 2 p.m. in Pocatello.